The Northern Conference Convention this year was held in Spruce Grove at St. Matthew’s Lutheran Church on September 28th and 29th. Pastor Calvin and Lori Skriver attended on behalf of Lord of Glory Lutheran Church. (Phil & Julie Hink were also in attendance.) We began with a light supper of soup and buns and visiting; the visiting probably the most important part of the convention! Then came the official opening and the first ballot for pastors to attend the National Church convention in Ottawa in July 2012. Rev. Dr. Larry Kochendorfer (assistant to the Bishop) led the “Synod Hour” with a brief set of highlights and allowed for questions. There is a full written Bishop’s report that you may get from Pastor Calvin if you want that. We began with “mission” moments from various congregations in our conference: Lutheran Student Movement is a cooperative effort of all of our congregations, they have made recent renovations to the Luther House and even received a grant for affordable housing from the City of Edmonton. 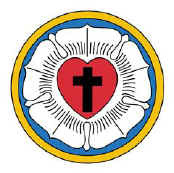 There was a verbal report about Mulhurst Lutheran Camp, who has a new director. They name themselves as an extension of congregational ministry. Fall Youth Retreat (Oct 12-14 – Going Green), Men’s retreat on the weekend pre-Grey Cup. Other congregations spoke about what they are up to. Someone spoke about Lutheran Theological Seminary in Saskatoon (LTS). Our synod has committed to paying for AB students’ tuition at the seminary. We have done this in the past, but cannot do it so far this year. A request was made that “2 cheques” be issued: 1 to the SOS (Support Our Students) Fund to pay for tuition in THIS year, and another cheque of an equal amount to go to the Stephen Kristensen Endowment that uses interest to help pay tuition costs every year forever. LTS is in the process of making some changes: they have begun offering courses with intensive classes over one week for the course with supplemental reading and papers around that class time. This is to allow for people who can only take short periods for study and then they don’t have to move. Some talk about the National Church Council. Currently, it seems we are the only synod that has our representatives meet with our synod council… Restructuring is still in the works – a necessity because of lack of funds. The “unfunded liability” in pastor’s pensions is expected to be eliminated by the end of the year – good news for congregations who can expect to have pension contributions lowered in the new year. The Synod website has been modified. Go check it out! J Pictures will change regularly. Our financial health is, as expected, in continued decline. $70,000 less this year can be directly attributed to congregations who have left or in the process of leaving the synod. Accordingly, synod expenses have had to be reduced. Synod staffing is taking the biggest hit. For comparison incomes in 2010 was $260,000, 2011 was $165,000 and 2012 is projected to be $140,000. Special convention to elect a new bishop (Bishop Mayan is retiring) will be held October 27th in Red Deer. The mood of the synod seems to be gentler, more peaceful and we are beginning to look for hope and to move on. We are still hurting, but trying to discern what our vision and mission is now for this Synod. Deans have been given an increased role in the synod. Our own dean, Markus Wilhelm, is quite busy because we have such a large conference. His congregation, Trinity, has been very gracious with his time (luckily they have a second pastor who has also been taking more of the load in that congregation). Over-all more points of communication has been encouraged and has been happening – all to make increased workloads more bearable and what is being done more efficient and effective. I found this conference convention to be much more uplifting that the previous 3 or 4 that I’ve attended. Thanks be to God! On Friday, after breakfast we had another ballot to elect pastors to go to the National Convention, then a time of worship and devotions. Rev. Dr. Larry had a wonderful sermon about forgiveness that involved a story of his youth and a chocolate bar from his grandma’s purse. Rev. Dr. Dittmar Muendel spoke to our convention theme of “Stewards of the North”. There are many things happening in our own area, some of them good, some of them not good. We are looking for a balance to maintain the health of this world in the midst of so much change that is happening in our climate and in our societies. There was talk of our hyper-consumerism, talk about “fracking” in the oilfield, talk about water issues. All of this was underscored by our biblical understanding that we are not “owners” but merely “stewards” or “servants of the land”. Dittmar has a lot to share! An invitation was passed out to attend a conference at the beginning of November in Camrose about water issues. Lunch was followed by a short business meeting that discussed the finances of our conference (not too bad, but we did hear that some congregations are not contributing to the National Convention Fund that we set up to help all congregations get to the conventions.) 2 lay people and 2 pastors were added to the Conference Council (who basically looks after setting up and running the conference convention each year). There was a motion to investigate how we might determine terms of service and elections for the conference council. Reports were accepted (please see Pastor Calvin if you wish to read through what our various committees are up to in our synod).